Mr Rajesh Kumar, Parent of Karthik R J, VII A whole heartedly gave us 12 different varieties of holy basil (Tulsi) for our herbal garden. His generosity did not stop here, he also explained the benefits of each plant that he had donated to us and stressed the importance of such herbs as a cure for several ailments in traditional medicine. 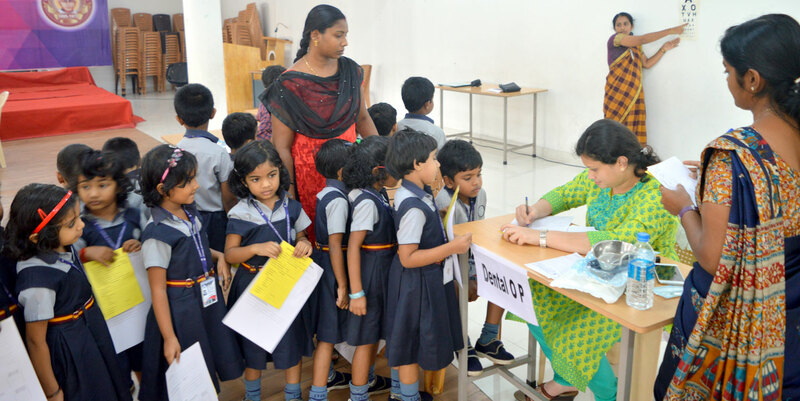 KG Medical Camp in association with Sree Gokulam Medical College and Research Foundation, Venjaramoodu. 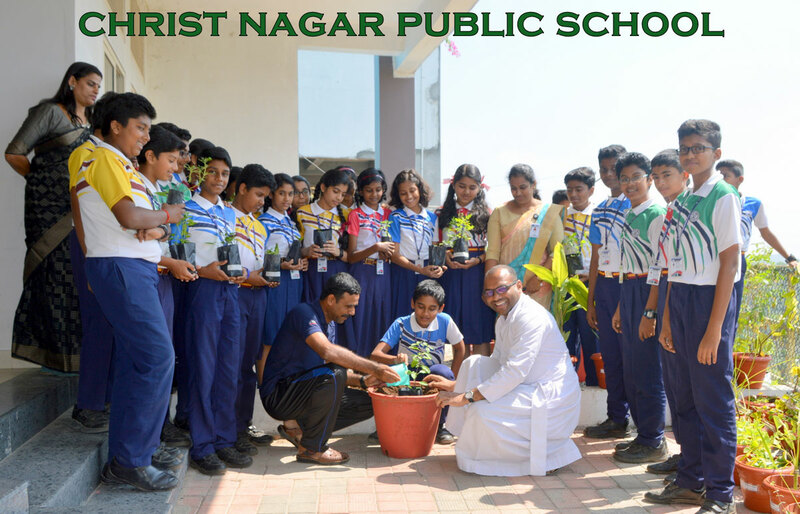 As a first step in our ongoing efforts to inculcate the importance of conserving nature; we are in the process of setting up a herbal garden in the school. We are indeed thankful to all the parents who have contributed their bit for it. 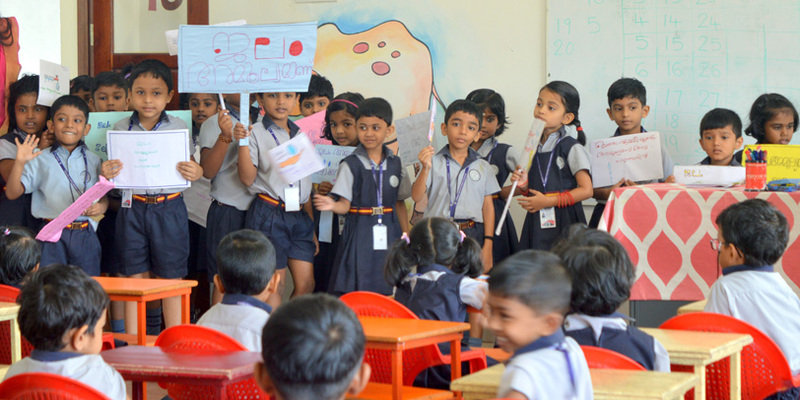 Kinter Garden Section of our School organized a save water rally to create awareness among students about the importance of water and its optimum usage. Red Day Celebrations - The colour of love and smiles..
KG conducted ‘Red Day’ activity on 28th June 2018 to introduce children into the mesmerizing realm of colours. The shades of red made our tiny tots feel bright, lively and cheerful. 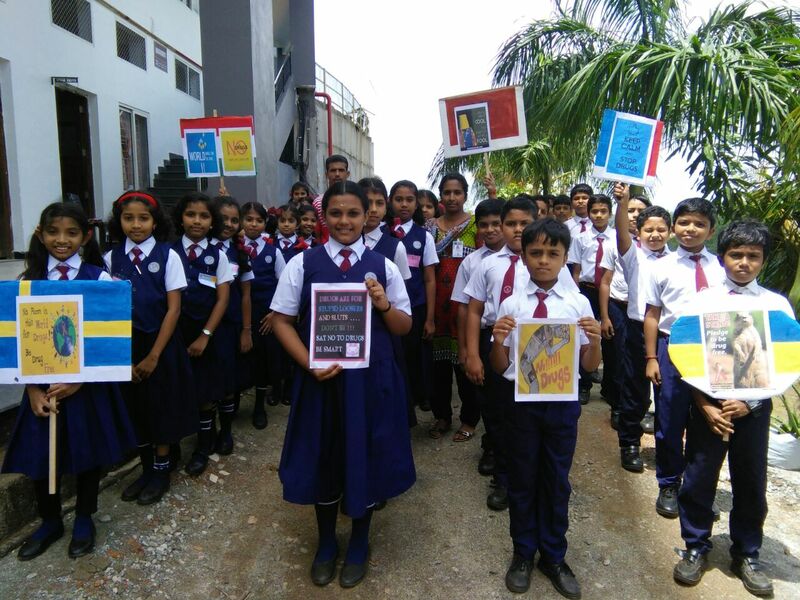 An awareness rally was taken out in Christ Nagar School by students on 26th June 2018 against drug abuse and illicit trafficking. Kochu TVs Back to School Programme! Stars of Christ Nagar School gave a scintillating performance in Kochu TVs Back to School Programme. We welcomed Word Cup Football 2018 by organising a student rally from Kachery junction to KSRTC bus depot.